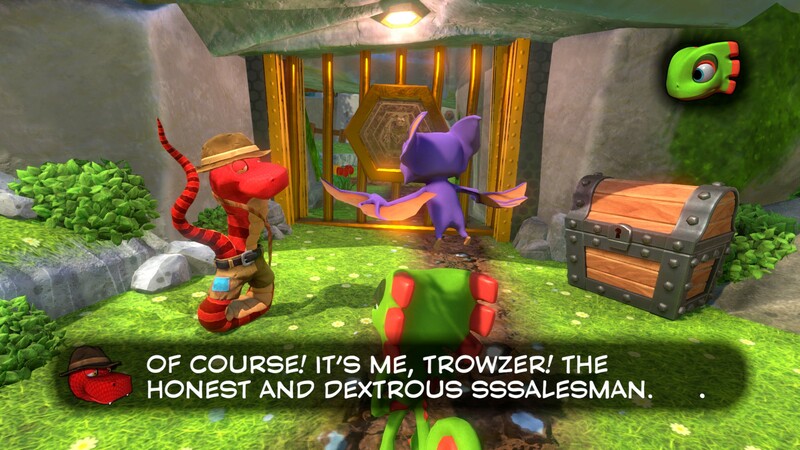 Pull up your trousers and get to finding Trowzer the Snake in Yooka-Laylee. 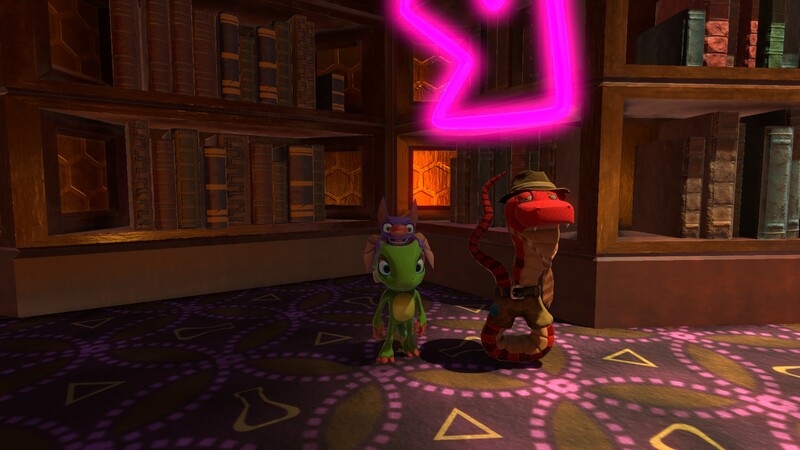 In Yooka-Laylee, Trowzer the Snake is the character you turn to whenever you want to purchase new moves using Quills. In each different world, Trowzer can be found hanging out chatting away on his dated 1985-style cell phone. If you’re having trouble finding Trowzer and need to exchange your Quills for a new move, we’ve put together a quick guide on where you can find Trowzer in each world of Yooka-Laylee! You first meet Trowzer the Snake in Shipwreck Creek. Shipwreck Creek is where Yooka and Laylee first encounter Trowzer the Snake. He’s located beside the door that exits out into a sort of “training area” leading up to Hivory Towers. Here, Trowzer asks you to find 10 Quills in exchange for your first move, Tail Twirl. These Quills can be found in various Treasure Chests located throughout Shipwreck Creek. What’s interesting, though, is at the end when you return to Trowzer he doesn’t actually take your Quills. Instead, he teaches Yooka and Laylee their very first move for free. Trowzer can be found past the entrace to Hivory Towers in the beginning. Later on, you can find Trowzer in the Hivory Towers Archives. Once you complete the basic training in Yooka-Laylee and enter Hivory Towers, you’ll find Trowzer off to your left once again chattering away on his Brickcom phone. Here, he’ll teach you another move in exchange for collecting your first Pagie which is floating above the giant golden statue of Capital B. Once you’ve collected your first Pagie, return to Trowzer and he’ll teach you the Reptile Roll move. 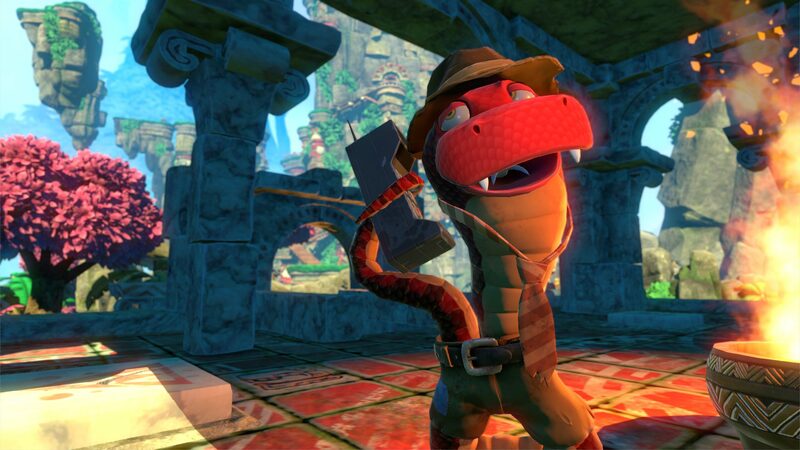 You can find Trowzer the Snake on the second level of Duke's Temple in Tribalstack Tropics. The first world you enter is Tribalstack Tropics, and to find Trowzer, simply head to the center of the map and Reptile Roll up to the second floor of Duke’s Temple. This is the first area where Trowzer offers three different moves: Slurp Shot, Sonar Shot, and Buddy Slam. Slurp Shot is a move that allows Yooka to eat different berries (ice, fire) and shoot them at enemies. Buddy Slam is a move where Yooka rolls into a ball and is shot down to the ground by his buddy Laylee, this can help break up tiles and deal damage to enemies. Sonar Shot is a move used by Laylee to wake sleeping statues and enemies. 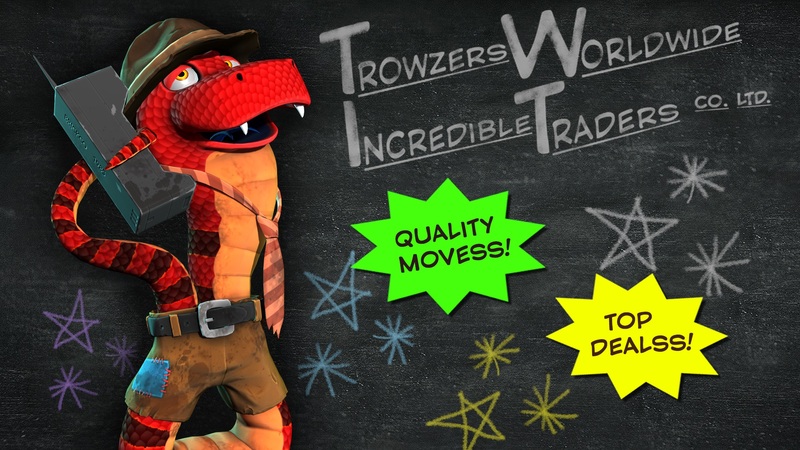 To purchase these three moves from Trowzer, you’ll need to spend 30 Quills each. Trowzer the Snake is located on a small patch of ice near the Hoops Challenge in Glitterglaze Glacier. 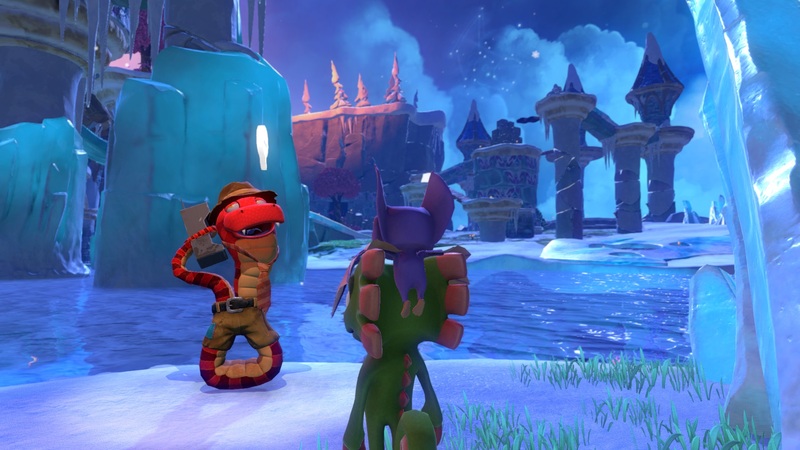 In the next world of Yooka-Laylee, Glitterglaze Glacier, you’ll find Trowzer the Snake near the Hoops Challenge to the east of Vendi. Here, Trowzer will offer you two improved moves including Slurp State and Lizard Leap for 40 Quills each. Slurp State is similar to Slurp Shot, except Slurp State gives Yooka the ability to take on the properties of the berries he’s eaten (such as light torches after eating a Fire Berry). 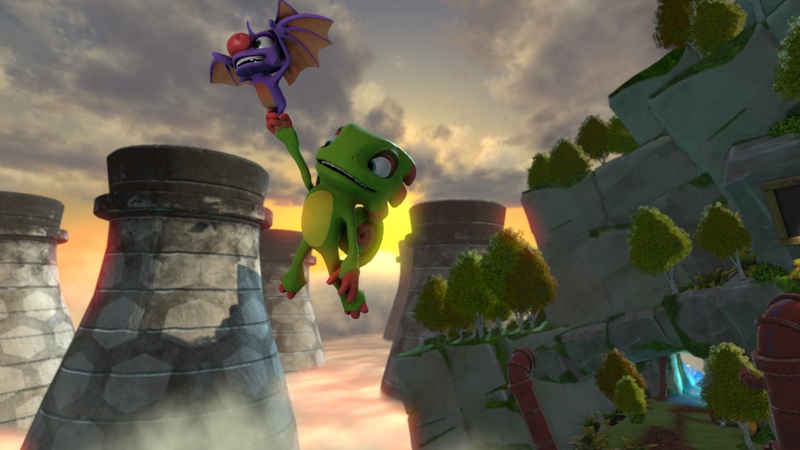 Lizard Leap gives Yooka and Laylee the ability to jump even higher into the air. Finally, you can purchase a third move from Trowzer by exiting the Glitterglaze Glacier Grand Tome back to Hivory Towers and locating the Archives. To unlock the Archives, though, you’ll need to use Slurp Shot on the Ice Berries growing in Rextro’s Arcade to press the button on the door. Here, you’ll find Trowzer in the left corner at the back near the arrow. This is where he’ll teach you Bubble Walk, which lets you walk underwater. Trowzer can be found hanging out near Vendi in Moodymaze Marsh. In the third world of Yooka-Laylee, Moodymaze Marsh, you’ll discover Trowzer the Snake hanging out near Vendi. Here, Trowzer will teach you two new moves for 60 Quills each: Lizard Lash and Sonar ‘Splosion. Lizard Lash gives Yooka the ability to use his long chameleon tongue to pull himself up to high ledges. Sonar ‘Splosion is an improved variation of Sonar Shot and gives Laylee the ability to break glass, ice blocks, and knockout enemies. There’s a third move you can purchase from Trowzer after you exit Moodymash Marsh and head through Hivory Towers to Capital Cashino. This time, Trowzer will offer you the move Camo Cloak for free. Camo Cloak turns Yooka and Laylee invisible, but can rapidly drain your stamina (making it a good idea to collect all of the Power Extenders). Head behind the Corplet Statues in Capital Cashino to find Trowzer. 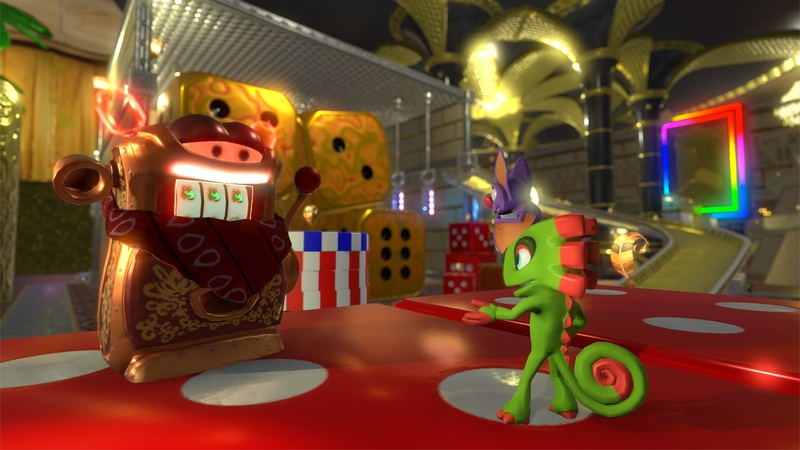 In the bright and colorful Yooka-Laylee level, Capital Cashino, you’ll find Trowzer relaxing behind the Corplet Statues. Here, you can purchase the move Reptile Rush for 80 Quills. Reptile Rush allows you to charge up a spinning move while using Reptile Roll that can help you break glass, push heavy objects, and smack enemies. After meeting Trowzer in Capital Cashino, exit the world and head back to the entrance to the Capital Cashino Grand Tome area. 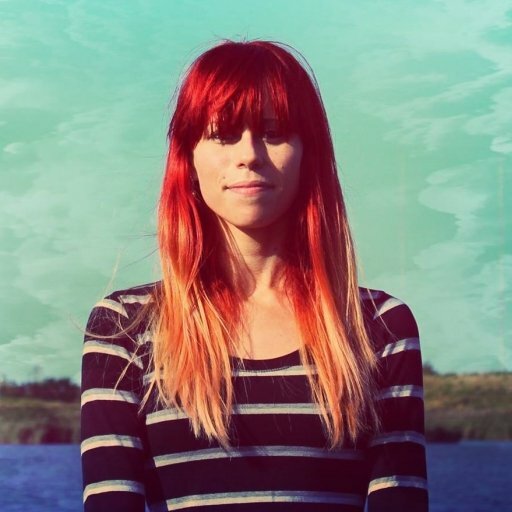 Look for Vendi on the other side and you’ll find Trowzer. Here, Trowser will teach you the move Flappy Flight for free. Flappy Flight allows you to fly for as long as you like until your stamina drains. Again, it’s a good idea to collect all of the Power Extenders in Yooka-Laylee to make the most out of this move. You can find Trowzer in Galleon Galaxy below the Lighthouse across from where you spawn. Finally, once you head into the last world in Yooka-Laylee, Galleon Galaxy, you’ll find Trowzer below the Lighthouse directly across from the island you spawn on. Hint, he’s once again hanging out beside Vendi (the two of them seem to have a weird relationship going on). Here, you can purchase the move Sonar Shield from Trowzer in exchange for 100 Quills. Sonar Shield is the final form of Sonar Shot, and allows Laylee to create a shield around her and her buddy Yooka which protects them from damage. Additionally, Sonar Shield lets you navigate through gassy areas, and across/through laser grids. Note that using Sonar Shield saps stamina, making it a good idea to find the Power Extender in Galleon Galaxy. 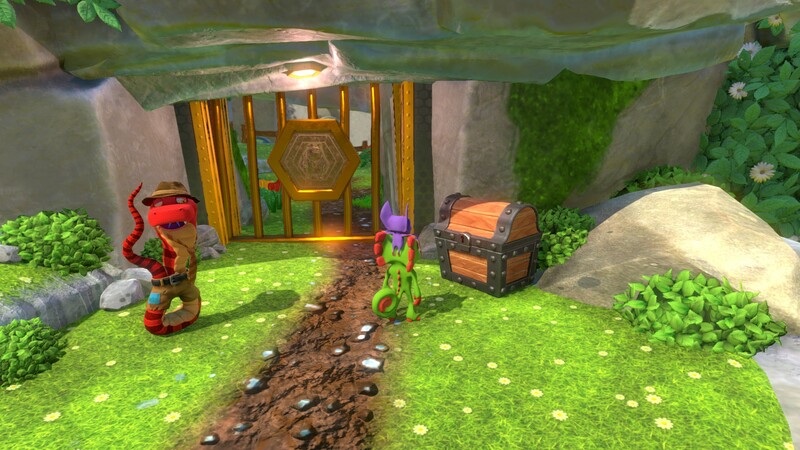 Knowing where Trowzer is in Yooka-Laylee can help when you’re looking to purchase a new move. Some of the moves Trowzer offers can be had for free, while others require you to collect a certain number of Quills and use them as currency. By reading through this guide, you should now know every location where you can find Trowzer the Snake in Yooka-Laylee!